When was the last vacation you took to a tropical paradise? 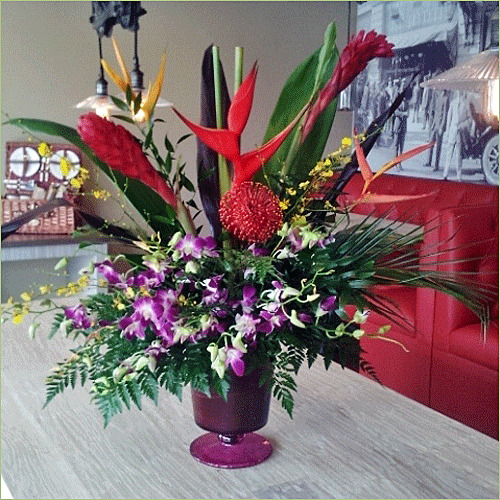 Here, ginger blooms with Lobster Heliconia against a backdrop of palm fronds, Ti leaves, and leather fern. Purple Dendrobium orchids and Incidiums spray outward to create a splashing effect. Welcome to your colorful, tropical waterfall! Premium arrangement includes 21 stems.